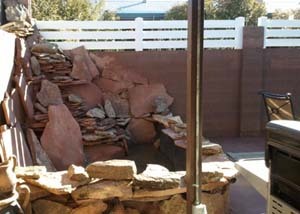 SW Vinyl’s durable fences come in a wide variety of styles and colors. Material with an imprinted faux pattern, or an actual texture, will cost more than a solid color with a smooth surface. And generally, the darker the color the more it will cost. This is due in large part to various additional ingredients necessary for the extra heat absorption load, as well as to keep the material UV-stable. 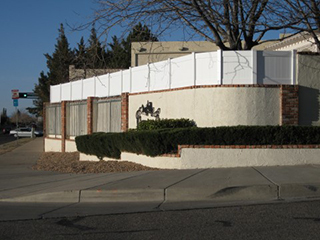 Maximum privacy and minimal maintenance are assured when you install Southwest Vinyl's Privacy Fencing Systems. You can choose from a wide array of options like lattice, picket tops, sunburst and many other configurations that will complement the look of any home. You want more than just a privacy fence - you want piece of mind. Southwest Vinyl's Privacy Fencing delivers with years of dependable, maintenance-free performance. 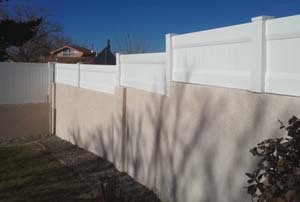 Our privacy fences are manufactured with tongue and groove pickets, custom crimped slats, notched rail-ends, and individually routered posts. Using thick gauge tongue-and-groove slats is the best way to assure a gap-free look. 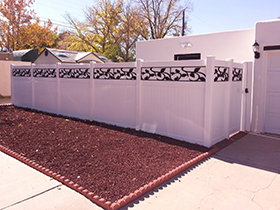 When considering the purchase of your vinyl-fence, be sure to request a warranty copy with any fence quote you receive. As you will discover, SW Vinyl will likely be the only company offering fencing with a transferable lifetime warranty. 3) Enjoy a maintenance-free, elegant, quality fence for the rest of your life. 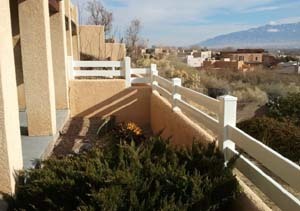 Incorporate the Sunburst-Top to privacy for that southwest warmth. 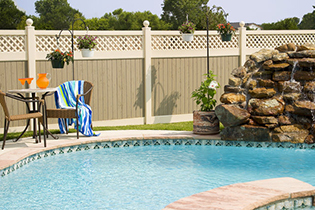 A two-tone Privacy fence w/Lattice Top adds depth and richness to any feature in your yard.